ITU is the United Nations specialized agency for Information and Communication Technologies (ICT) and The Study Groups of ITU’s Telecommunication Standardization Sector (ITU-T) assemble experts from around the world to develop international standards known as ITU-T Recommendations which act as defining elements in the global infrastructure of information and communication technologies (ICTs). The European Commission has served the role as chief editor in the ITU-T the "ICT in Cities" methodology. This methodology ITU-T L1440 gives general guidance on a city level assessments related to ICT and provides a description of the methodologies to be used for the assessment of the environmental impact of ICT in cities. Home to half the world’s population and growing rapidly, cities consume over two-thirds of the world’s energy and they account for more than 70 percent of global CO2 emissions. Nonetheless, cities are of the right scale and structure to deal with the challenges they face. As centres of cultural, political and economic leadership, cities can act on climate change, implementing bold steps to reduce greenhouse gas emissions so that others may follow. Due to this, the concept of Smart Sustainable Cities is increasingly in focus. Although the use of ICT could reduce the environmental impact of cities, its own deployment will consume increasing amounts of energy and resources. The positive as well as the negative impact of ICT has to be taken into account when assessing its impact. The environmental impact of ICT in cities is the result of three orders of effects: The first order effect of ICT goods and networks in cities is related to their raw materials acquisition, production, use and end-of-life treatment. The impact of the whole life cycle is considered, both for goods, networks and services. The second order effect refers to the environmental impact due to the use of ICT in other products or sectors in order to reduce their GHG emissions or energy consumption. ICT can improve sustainability of urban infrastructure like airports, harbours, buildings, public administration, sports venues, transport, street lighting, water management and security systems. ICT can also drive towards dematerialization, and enhance optimization of other technologies, such as increasing the efficiency of power supply (e.g. 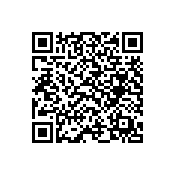 to optimize smart grids). Other effects of ICT in cities are systematic effects related to citizens' behaviours and behavioural changes, but also to structural changes linked to the use of ICT. In particular, so called rebound effects are included among other effects. Rebound effects refer to efficiency gains being offset by increased consumption. Part I relates to the first order effects from the use of ICT goods and networks in a city´s organizations and households. Part II relates to the first and second order effects from ICT projects and services applied in the city. 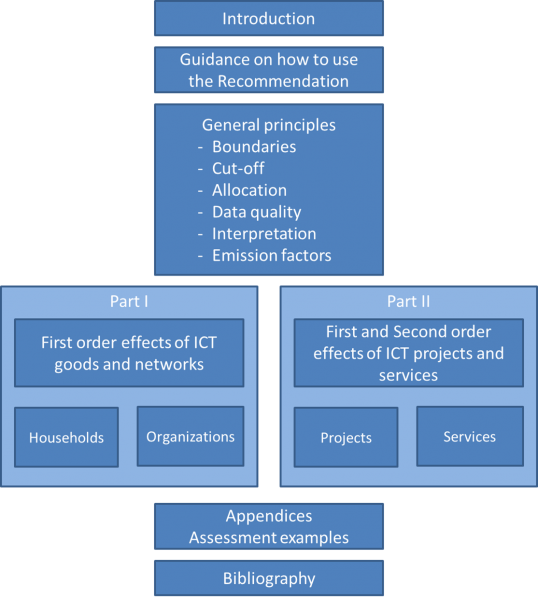 Based on other L.14xx-series of Recommendations, the present Recommendation aims at providing guidance for the assessment of ICT-related GHG emissions and energy consumption at city level. It provides a framework for the quantitative assessment at city level of first and second order effects of ICT. It also gives some guidance on how to qualitatively assess other effects. More specifically, the L1440 Recommendation can be used to assess the first order effects of the use of ICT in organizations and households, as well as its first and second order effects when applied to different industrial sectors such as transport, buildings, utilities and waste. For the second order effects, it is not expected that the overall second order effects of all ICT at city level are assessed. Rather, this Recommendation provides guidance on how to assess the second order impact of one or more ICT projects or ICT services at the scale of the city. The Recommendation is intended for city authorities, policy-makers, environment and ICT experts and the industry and planning authorities, and can be used to guide the assessment of ICT-related GHG emissions and energy consumption at a city level.